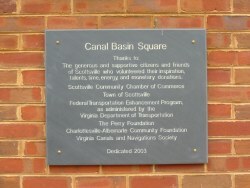 Click here to enlarge the sign. 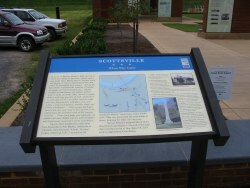 There are eight pylons with interpretive signage along the walkway leading to the levee which protects Scottsville from the James River when it floods. 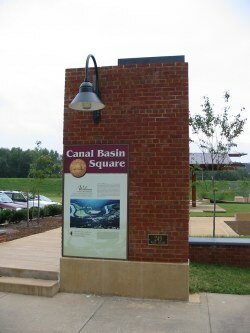 A replica James River and Kanawha Canal Packet Boat is located in the boat slip parallel to Scottsville's Main Street. 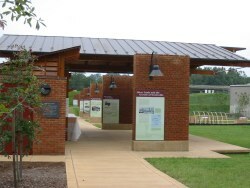 A freighter is in the boat slip along Lumber street to the south. 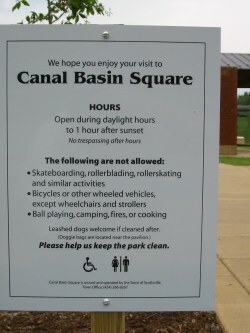 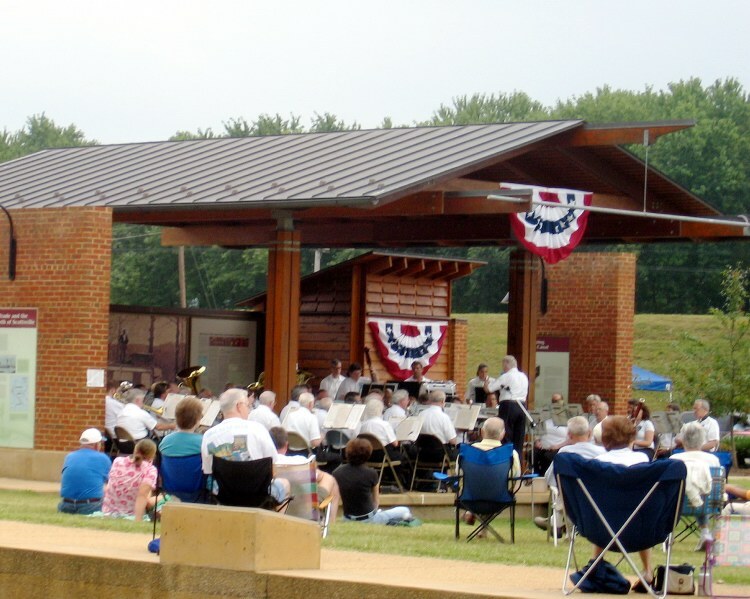 Scottsville's Canal Basin Square park is open during daylight hours and closes one hour after sunset. 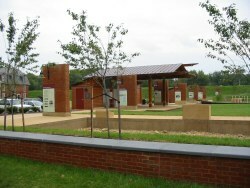 Handicapped Accessible restrooms are open to the public during spring, summer, and fall when there is no danger of freezing weather.